In "The Box House", author Brigid Marlin tells the story of Cassie, a young girl she met more than fifty years ago in a small English town. Although badly neglected and abused by her mother, Cassie is a strong and courageous child who is determined to make a proper home for her younger siblings. The box house referenced in the title is literally that — a house made of cardboard boxes. It's a place where Cassie and her siblings could find comfort and refuge from their real lives, if only for a few hours at a time. 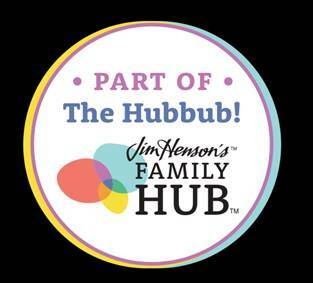 "The Box House" is a story told through Cassie's eyes and voice, and will bring tears and smiles to readers as they experience both her pain and courage. 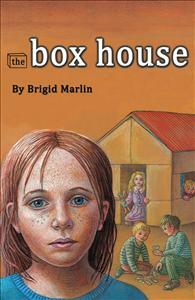 "The Box House" is Brigid Marlin's third book. She previously authored "A Meaning for Danny" (Infinity Publishing/Boissevain Books 2012), recounting her son's struggle with Aspergers, and "From East to West: Awakening to a Spiritual Search" (1989 Fount). Brigid has also illustrated a number of books including "King Oberon's Forest" written by her mother, Hilda van Stockum, the famed children's book author and artist. Brigid, who resides in England, is known primarily as an artist whose work is in the National Portrait Gallery in London and in museums and collections throughout the world. She is the Founder and Director of the Society for Art of Imagination. The book cuts to the heart. You immediately want to take Cassie and her siblings far far away and give them everything they have been missing. Cassie at 8 years old is the eldest of 5 children. She and her siblings are often sent out of the house without proper clothing or food when Mom is entertaining. They eventually head into a church because it was a place to go and there they meet Brigid and her children. Eventually Brigid takes Cassie and her siblings under her wing and her compassion makes a huge difference in the life of a little girl. A small gesture by a stranger shows Cassie the person she wants to be. I was angry throughout most of the book. Angry that Cassie and her siblings were hungry, cold and their only solace was a cardboard box that their father turned into a house for them. Angry that he didn't stand up for his children and do more. Angry that their mother was such a piece of trash and chose a man over her kids. Angry that they were beat and worse by her boyfriend. Angry that these kids had no one protecting them. No one speaking for them. It is a good read. One that will anger you and make you cry. I was so thankful that Brigid introduced the kids to the bible and showed Cassie kindness. We never know how our "small gestures" can ultimately change someone's life. Always show kindness, you may be the only kind person someone sees all day. This sounds like a very emotional read. Thanks for sharing.